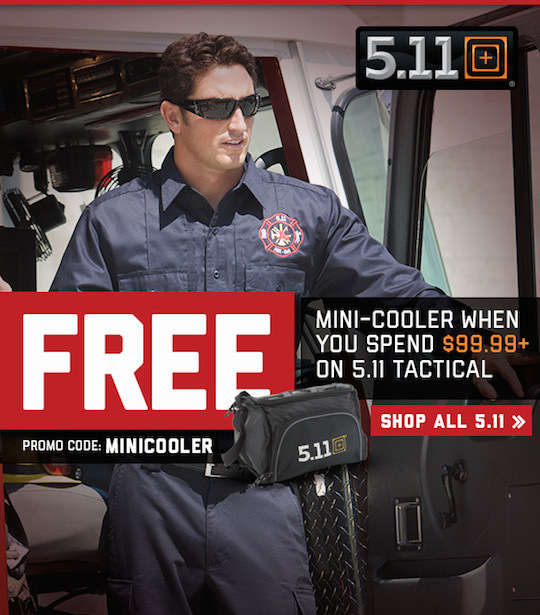 When you shop 5.11 and spend $99.99+ on some great tactical gear, you'll get an awesome 5.11 mini-cooler as a free gift. This five-star-rated job shirt is made specifically for fire professionals. 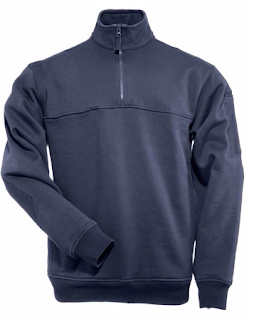 Made from a poly/cotton fleece blend that's comfortable and durable, the 1/4 zip offers numerous useful features: The side-seam handwarmer pockets will shield your hands from the bitter cold of chilly nights, and the stain-resistant finish keeps your job shirt looking top-notch no matter what you throw at it. Best of all, it's water-repellant, allowing rain and liquids to simply bead up and run off. Rest assured, you'll stay warm and dry with the Storm Fleece. 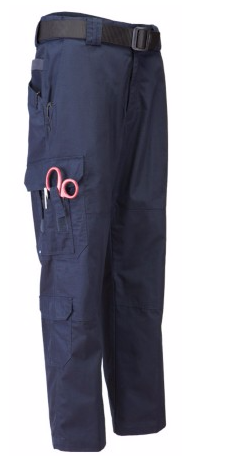 If you're looking for a rugged and fade-resistant poly/cotton twill tactical pant, 5.11's EMS Pants will do the job. They're made in the new, lightweight, ripstop fabric and treated with Teflon, which protects the fabric from all types of stain damage including soil-and liquid-based stains. Of course, comfort won't be an issue, as the self-adjusting tunnel waistband that moves with you keeps you feeling great all day, along with the gusseted-crotch, allowing freedom of movement and no seam-failure.